"Ever since our first batch of TBD (our first batch ever), this hop-forward, roasty, sumptuous stout has enjoyed both a cult-like following and utter confusion over its name and nature. Now it’s back, bigger and bolder than before, and we’re sticking with the name, because you told us we weren’t allowed to change it." Pours pitch black for the most part, but has some ruby red highlights on the edges with less than a finger of khaki-colored head. The aroma has nice coffee and an underlying dark chocolate note. The pepper is subtle with pepper skin faintly noticeable in the background. The taste has a good malt base without being to sweet or cloying. I must say the pepper skin is also quite prominent without bringing too much heat. Interestingly enough, a nice hop bitterness punches through and leaves a residual dank flavor. Not sure if its the bitterness of the hops plus the chipotle, but I'm picking some fresh mint and green tea. There's not too much in terms of a natural coffee or chocolate taste, but the matly, roasted, hoppy base stout is doing just fine here. Mouthfeel is full-bodied. It doesn't have a lot of those mouth-coating qualities, but it does only clock in at 7.2%. The peppers can leave a tingling sensation if you have a lot in a short amount of time, but it passes quickly. Even those who can't handle even marginally spicy foods (like me), shouldn't have an issue here. Chipotle TBD was fun to drink. 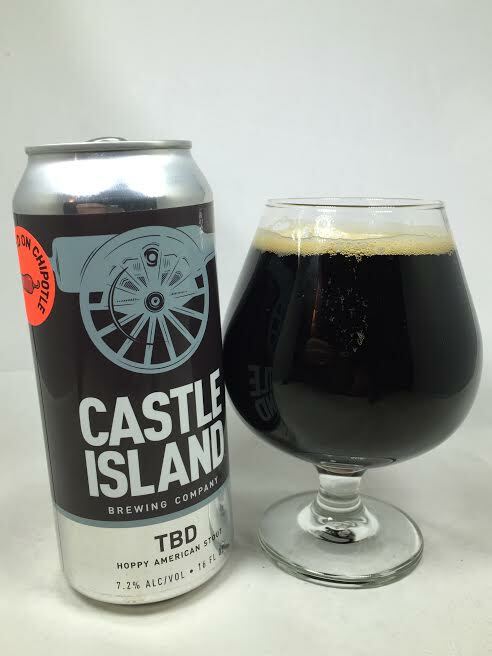 It was a nice twist to put on their standard TBD stout and I'd like to see even more variations in the future. It is a uniquely hoppy stout on its own and the heat from the peppers adds more complexity. The heat isn't unbearable, so if that's what's holding you back from trying this, then there's no need to worry.